The film stars Ralph Macchio, Nassau County resident Ben Hyland, Marsha Mason and Karina Smirnoff. Nassau County, NY - July 28, 2014 - Nassau County Executive Edward P. Mangano and the Long Island International Film Expo (LIIFE) are proud to announce a private screening of Ralph Macchio’s new short film, Across Grace Alley, on Sunday, August 10th at 12 noon. 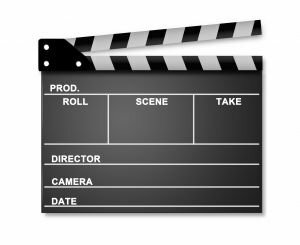 As one of the top 10 must see summer film festivals in the United States, the 17th Annual Long Island Film Expo came to a wrap last week; residents and fans are invited to join Ralph Macchio at a private showing of his newest short film. “We are proud to have Ralph Macchio screen his new film Across Grace Alley here after his directorial debut, Love Thy Brother, filmed in Nassau County several years ago,” said County Executive Mangano. Across Grace Alley is a coming of age story about a young boy struggling with his parents’ divorce. The film stars Ralph Macchio, Ben Hyland, Marsha Mason and Karina Smirnoff. The event is free, but all guests must be placed on the list to attend. For venue information and to be placed on the list, please email cgrassi@nassaucountyny.gov. Subject: LongIsland.com - Your Name sent you Article details of "Mangano Announces Free Screening of Ralph Macchio’s New Short Film Across Grace Alley"